Welcome to the Rhiwbina Village Events web site - a guide to encourage you to enjoy and participate in what’s on offer in the village. 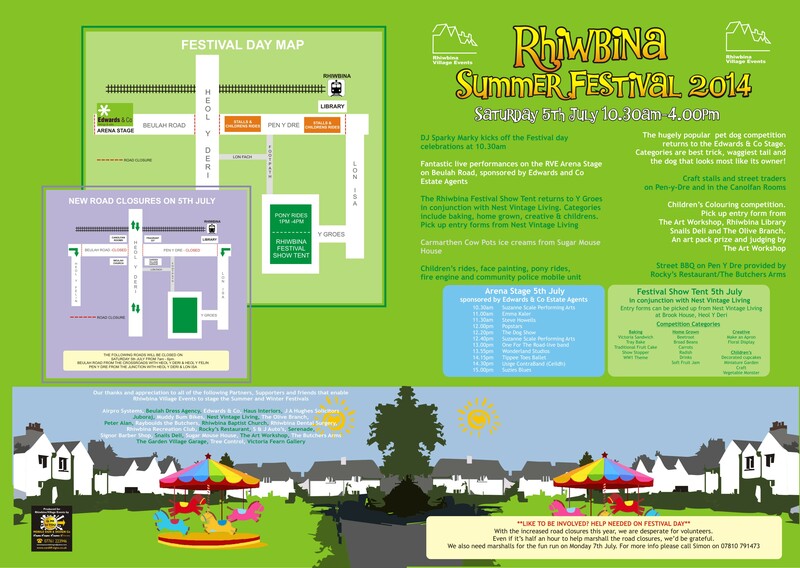 The Rhiwbina Summer Festival is without doubt the most popular event of the year for Rhiwbina residents. Last years event was a huge success! Please join us on Saturday 5th July for a fun filled day in your favourite village. 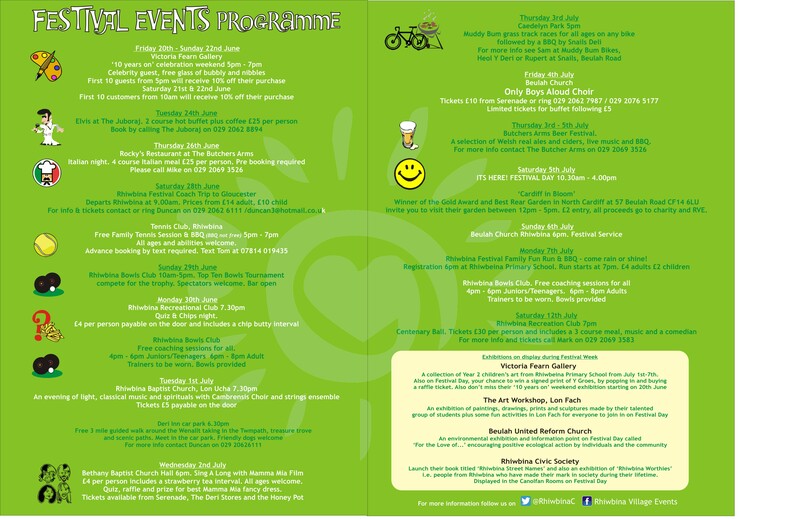 Click here for a printable version of the days activities.